The slime molds and water molds used to be considered types of fungus. They are, however, completely unrelated to the true fungi and are good examples of convergent evolution. Convergent evolution occurs when two organisms develop similar characteristics because of adaptations to similar environments and yet are not related on a molecular level (figure 12.19). There are two groups of slime molds, the acellular slime molds and the cellular slime molds. The slime molds are terrestrial organisms living on soil, leaf litter, or the surfaces of decaying leaves or wood. They are non-motile, and reproduction depends on the formation of spores that can dispersed. Acellular slime molds are widespread and readily visible in their natural environment. Following sporulation and germination of the spores, ameboid cells fuse to form a myxameba. The nucleus of this ameba divides repeatedly, forming a multinucleated stage called a plasmodium. The plasmodium oozes like slime over the surface of decaying wood and leaves. As it moves, it ingests microorganisms, spores of other fungi, and any other organic material with which it comes in contact. 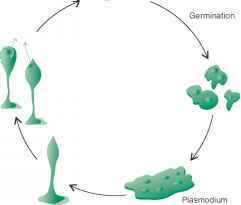 Eventually the plasmodium is stimulated to form a spore-bearing fruiting body, and the process begins again (figure 12.20a). The cellular slime mold has a vegetative form composed of single, ameba-like cells. When cellular slime molds run out of food, the single cells congregate into a mass of cells called a slug that then forms a fruiting body and spores. These fruiting bodies and spores look very much like fungal fruiting bodies and spores (figure 12.20b). Sequence Comparisons The slime molds and water molds are highlighted in blue. Figure 12.20 Slime Molds (a) Life cycle of an acellular slime mold. (b) Fruiting body of a cellular slime mold. Slime molds are important links in the food chain in the soil. They ingest bacteria, algae, and other organisms and, in turn, serve as food for larger predators. Slime molds have been valuable as unique models for studying cellular differentiation during their aggregation and formation of their fruiting bodies. The oomycetes, or water molds, are members of a group of organisms known as heterokonts. The oomycetes do not have chlorophyll, whereas other heterokonts, which include the grass green algae, diatoms, and brown algae, have chlorophyll and other photosynthetic pigments. Oomycetes were once considered fungi because they look like fungi. They form masses of white threads on decaying material. They have flagellated re productive cells known as zoospores. Oomycetes cause some serious diseases of food crops. The late blight of potato (Phytophthora infestans) and downy mildew of grapes are included in this group. The late blight of potato was the cause of the potato famine in Ireland in the 1840s that sent waves of immigrants to the United States. Does slime mould have green pigment for photosynthesis? Do slime moulds have green pigment chlorophyll for photosynthesis? Do slime mold and water molds cause disease? What are the main characteristics of slime molds and water molds? What is the differences and similarities between water molds and slime molds? 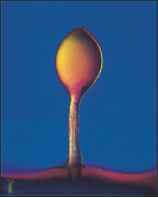 How are acellular and celluar alike and differnt in slime molds? Why slime molds and water molds fungi? Does slime mould possess green pigment chlorophyl for photosynthesis? What are the adaptive features of slime moulds? WHAT IS THE DIFFERENCE BETWEEN TERRESTRIAL MOLD AND WATER MOLD .? How do water molds reproduce? What isdiffirence between watare mold and slime momold? Why they are called slime and wateer mould? Why they are colled slime and water mould? Why it is called water mould? Why they are called water mould slime mould? What are characteristics of water mould? Why water molds and slime molds are so named? What is similar and different bteween whater mould and slime mould? What is the simmilarity bet wen slime molds and water molds? How is slime mold and water mold similarity? Why slime mold and water mold are tremed? 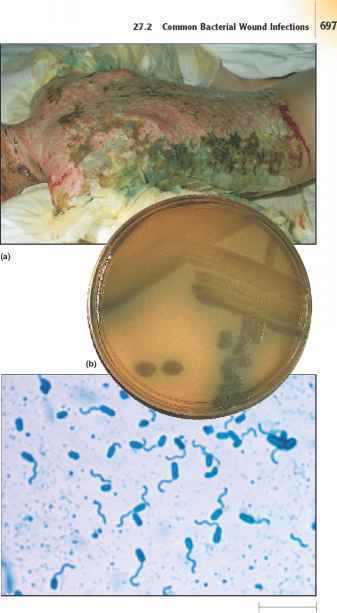 What is causative organism of mould? What is similarities of water mold and slime molds? What are the main differences between slime molds and water molds ? Why it called water mold? Is phytophthora and slime are motile? What are Slime Molds and Water Molds and what distinguish them from the true fungi.? What are slime molds and watet molds? What are slime molds and water molds and what distinguished from true fungi? What is water molds and slime with picture? What are slime mold and water mold their unique difference? What are slime molds and water molds their differences from Tru fungus? How do water molds move? Why slime mold and water molds are gymnomycota and oomycota respectively ? What are slime molds and water molds and distniguish them from the true fungi? Why were the slime molds and water molds once considered to be fungi? Why slime molds are called gymnomycota? Why aren't water molds considered to be a fungus? Are slime molds and water molds harmful? Are water molds heterotrophic and nonmotile? What are two diseases caused by slime molds? Which vegetative system forms slime molds? Are slime and water molds autotrophic or heterotrophic?